What else besides Boise State vs. San Diego State will impact the MWC this season? During every college football season, there are a select number of games that really shape the standings in each conference. The Mountain West was once dominated by Boise State, but has become a very competitive conference. San Diego State and Boise State are the favorites, yet there are multiple teams that could have an impact on the who wins the conference. Here are the nine games that will decide who plays in the Mountain West Conference Championship Game this season. Utah State had a dreadful 2016 and is looking for a rebound. Colorado State is looking to fulfill the hype they are receiving from the media. This is the first divisional game for each of these two teams and it will set the tone for their conference schedule. These two teams have split their last four games with the home team winning each of the four games. Utah State is the home team. Can they pull off a huge win in Logan? These two teams look like the second- and third-best teams in the West division. The winner of this game will be in line to challenge San Diego State’s dominance. Hawai’i will be entering this game in what could be a must-win situation after playing UCLA, Wyoming and Colorado State in their three previous games. Jay Norvell will be looking to make a statement in his first home conference game as head coach. This will be a very important battle to shape the West division. Coming off of an important game with Colorado State, the Aggies get another key early-season home game. The schedule is in the Aggies’ favor, but are they ready to pull off back-to-back wins against two of the favorites in the Mountain division? Craig Bohl and the Cowboys put up 52 points on the Aggies defense last season, but that was at home. The Cowboys have not won in Logan since 2003. 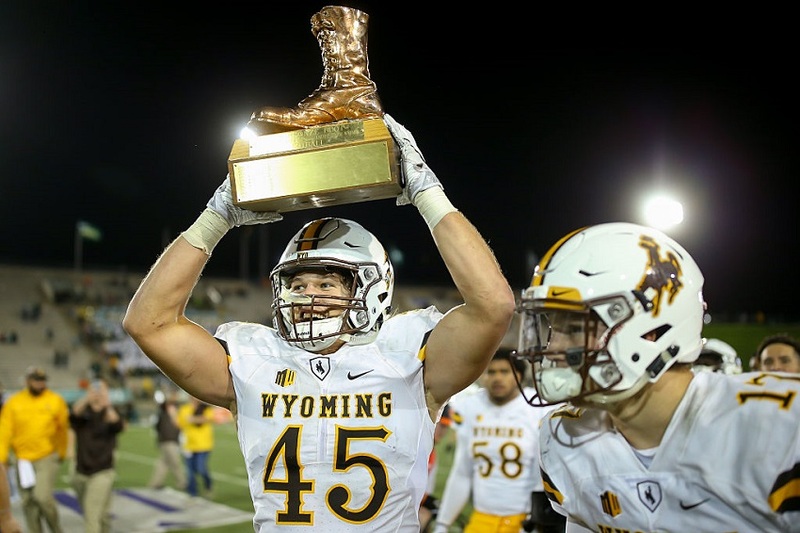 This is the first divisional game of the year for Wyoming and it will go a long way to showing if they are ready to play in their second straight Mountain West Championship Game. This game will have a lot of eye balls on it. This match-up pits the winners of the last three conference championship games. The winner of this will get the early nod as the favorite to win the conference and could also (depending on what happens in the weeks before) be poised for a rapid ascent up the Top 25. Keep an eye on this game, it’s not a divisional game but it will mean a lot to how the Mountain West is perceived by the outside world in 2017. This game could be a knock-out game for the loser. 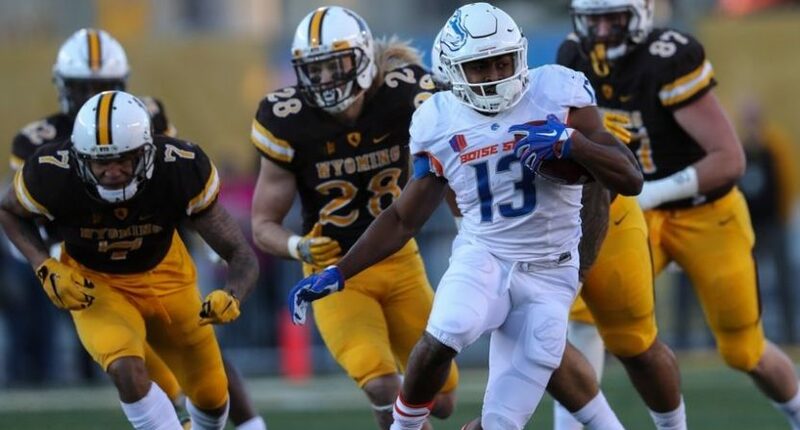 Wyoming comes into this game after a big game the week before against Utah State and Boise State comes into the game after a showdown against San Diego State. If one of these teams goes 0-2 during this stretch you can probably throw in the towel on their chances for a conference championship. Last season, Wyoming won their first ever game against Boise State. If they can win two in a row it will show that they are back and that they are a force to be reckoned with. Wyoming was the surprise team of 2016 in the conference and Colorado State is the media darling of 2017. One of these two teams will come out of this game as a contender and the other may have to start thinking about next year. The prevailing thought among the media is that these are the best two teams in the best division in the conference. This could be a de-facto playoff game to see who plays San Diego State (unless another team steps up in the West) in the conference championship game. It’s important to note that Colorado State is 0-6 all-time against Boise State. This is a signature game for Mike Bobo and his Rams. Is there anybody in the West division that can compete with San Diego State? The Aztecs have won two straight Mountain West Conference Championship Games and they look poised to play for a third. Nevada seems like the team that is in best position to knock them off. With a new offense and David Cornwell at quarterback it will be an interesting match-up pitting an explosive offense against the best defense in the conference. Boise State’s dirty little secret is that they’ve lost three straight games to Air Force. For those that don’t follow the Mountain West closely, that probably comes as a surprise as Boise State is still thought of as the king of the mountain. The placement of this game at the end of the season puts it as a must win for Boise State. They have to get over their Air Force jitters if they want to win a competitive Mountain division.